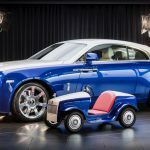 Rolls-Royce Motor Cars has produced the smallest vehicle in its history, but for very big reasons. 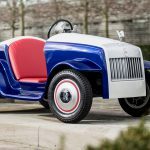 Rolls-Royce Motor Cars has produced the smallest vehicle in its history, but for very big reasons. 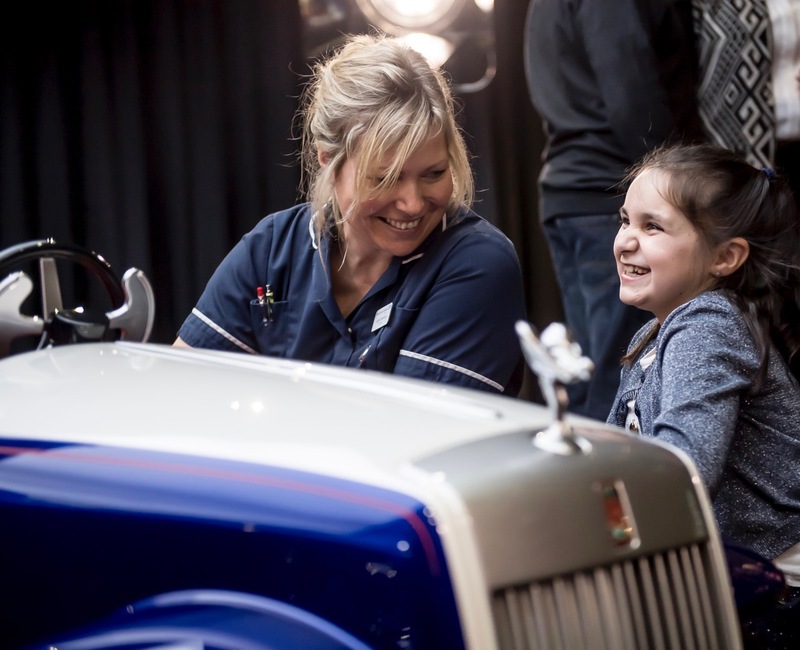 The car, the Rolls-Royce SRH, has been presented to the St Richard’s Hospital Pediatric Day Surgery Unit, a hospital in Chichester, West Susses, England, the automaker’s home city. The car was designed so children can drive themselves to the operating theater, and do so through corridors lined with traffic signs. 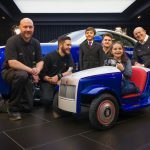 “The experience of ‘self-drive to theatre’ aims to reduce child patient stress,” Rolls-Royce said in the news release announcing the car’s delivery. That delivery to the unit included inviting two child test drivers — Molly Matthews and Hari Rajyaguru — to the automaker’s Goodwood Studio, just like any of the company’s VIP customers for the final validation and pre-delivery inspection before the car was presented to St Richard’s. 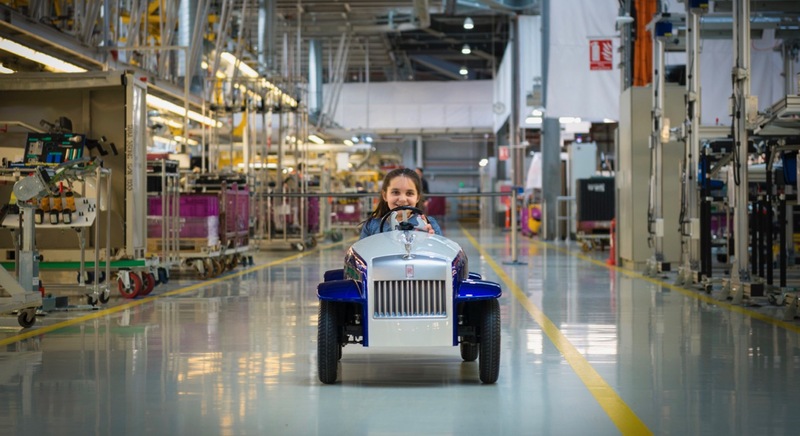 The automaker supplied full-scale Rolls-Royce Ghosts to carry the children and their families back to their homes after the factory visit. The SRH was built by Rolls-Royce’s Bespoke Manufacturing team, the group that customizes its cars for its best customers. The team devoted 400 hours of work to the car’s creation. 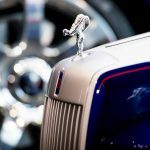 3D printing technology was used in the car’s creation, including the Spirit of Ecstasy hood ornament and the paddle controls. 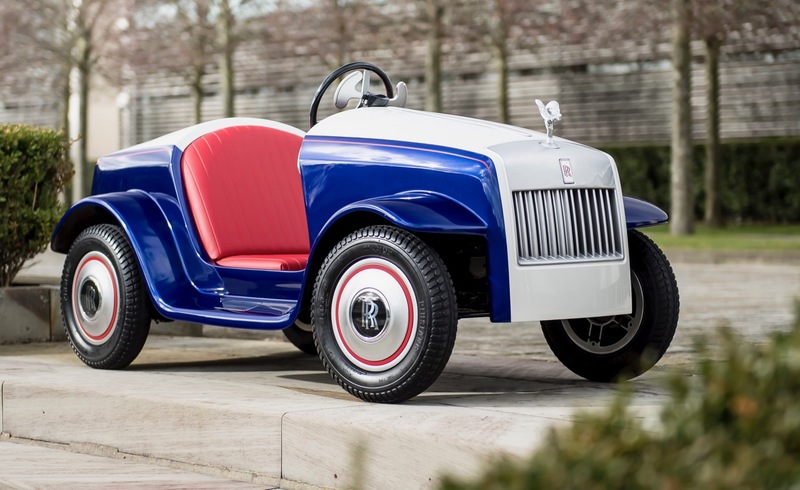 The car is presented in two-tone Andalusian White and Salamanca Blue colors with and hand-applied St James Red coachline. “The interior space is appointed with the same finesse and attention-to-detail afforded to every Rolls-Royce patron, with the two-tone steering wheel, seats and self-righting wheel centers perfectly color-matched to the St James Red coachline,” the company said. 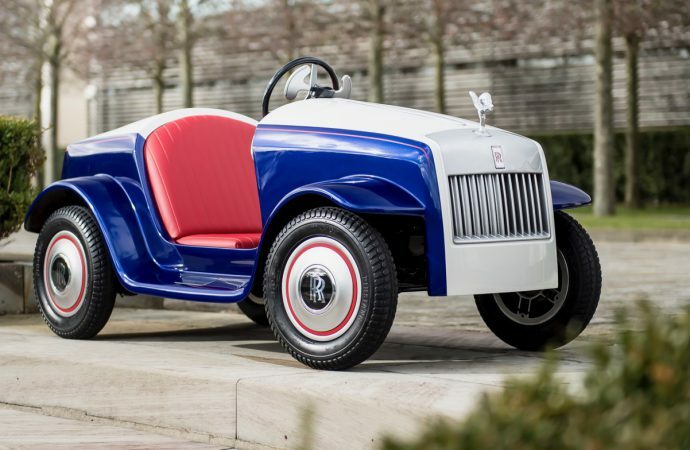 The children’s car is powered by a 24-volt gel battery “that propels the car with the same whisper-quietness as Rolls-Royce’s magnificent V12 engines” and can achieve a top speed of 10 mph, though it also has a governor that can limit it to 4 mph. “It’s wonderful seeing a smiley face on the way to theatre, rather than an apprehensive one, and everyone caring for children at St Richard’s is so grateful to Rolls-Royce for this unique donation,” added Sue Nicholls, the foundation’s pediatric matron.